Once you schedule your free inspection, we’ll come out and get to work. First, we’ll walk your entire property searching for hail damage that shows as pings on your siding, wooden fencing, HVAC units and other home components. Second, we’ll climb up and inspect your roof looking for dents shingles and gutters and marks in soft-metal vents from hail. Third, while on the roof we’ll look for wind damage as well. 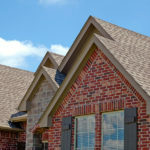 Strong winds can lift shingles, and over time, jeopardize the integrity of your roof which can lead to leaks. Hassle-free. Really. If we see enough damage that we know your insurance will cover, then we’ll recommend calling them out. If you decide not to use our services, then we’ll move on to the next one – no questions asked. If you decide to go with Storm Restoration Services, we will meet with your insurance adjuster. 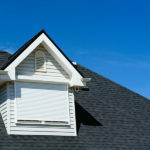 Insurance companies are ready and willing to fix these damaged portions of your home as they know it will likely lead to bigger claims down the road – resulting in much costlier replacement of shingles, siding, decking, sheet rock and other building components. In most cases, you’ll find our services are covered by your property insurance policy. And in cases where damage is not covered by your policy, our team can provide you with a reasonable quote to get your property restored. Fill out this form and we’ll get back with you within 24 hours to schedule a time for us to come out and inspect your home or property. For Emergency Tarping, we’ll be in touch ASAP. 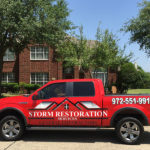 Storm Restoration Services is a Residential and Commercial Roofing and General Contractor company based in Terrell, Texas. We will take care of your entire home or business after the storm hits. We serve the Dallas-Fort Worth Metroplex. When the Storm leaves a Mess, call SRS!